If you think you’ve got your loan approval in the bag only to find out that PMI put you over the edge, you aren’t alone. If you end up applying for a loan that requires more than an 80% LTV on a conventional loan, you’ll pay PMI. That PMI gets figured into your debt ratio. If it makes your DTI too high, you could lose your loan approval. What do you do in this case? You have a few options. The first step you could take is to ask your lender about the possibility of lender-paid PMI. This is only a good option if you know you’ll stay in the home for the long-term, though. The lender will pay the full amount of the PMI that is due all at once. This differs from borrower-paid PMI, that you can request be canceled should your home appreciate enough and/or you pay your principal balance down below 80%. The lender will inflate your interest rate slightly to make back the money they paid for your PMI. You’ll have to do some math at this point to see if you make out better with the higher interest rate or the PMI. If the higher interest rate gives you a lower payment, it may be low enough that it gets your debt ratio where it needs to be for approval. If you can’t get under that 36% debt ratio requirement that the conventional loans have, your other option is to look at an FHA loan. FHA loans have more flexible guidelines that make it easier to get approved with a higher debt ratio. They allow a 31% housing ratio and as much as a 41% total debt ratio. That’s 5% more than the conventional loans allow. The one thing about FHA loans, though, is that they charge mortgage insurance as well. Because you have that extra room in the DTI, though, it may not be a big deal. You should know, though, that the FHA will not cancel the mortgage insurance no matter the LTV on your loan. You pay the mortgage insurance for as long as you have the loan. If you don’t refinance out of it or sell the home, you pay the mortgage insurance for 30 years. If you don’t want to go the FHA route, consider coming up with compensating factors to help a lender approve your conventional loan even if the PMI tilts you over the debt ratio threshold. In the end, PMI can definitely make you lose your loan approval, but it’s not likely. Lenders will often find a way to make the loan work. 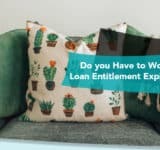 Whether it’s by considering your compensating factors or finding you another type of loan, such as the FHA loan, there are usually ways that you can get around the requirements and get the loan that you need.